Free flowering and easy to grow with an impeccable habit and long lasting, glowing coral color. 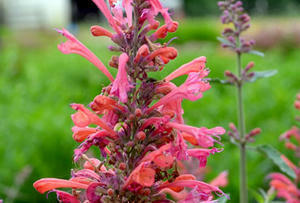 The warm, coral colored plumes are dense with a sweet honey-mint scent. Makes a real standout in mixed containers, or as a border plant.